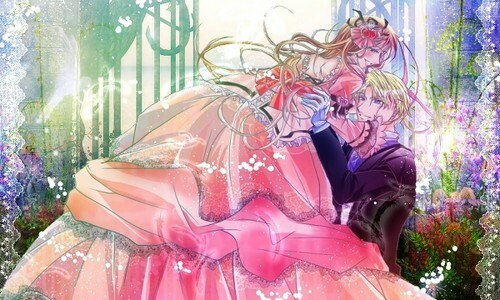 Edgar and Lydia. . Wallpaper and background images in the Hakushaku to Yousei club tagged: photo 伯爵と妖精 hakushaku to yousei edgar lydia light church the earl and the fairy il conte e la fata fan art manga anime love cute. This Hakushaku to Yousei fan art might contain 伴娘, 荣誉女仆, 伴娘伴娘, 花束, 胸花, 波西, 香奈儿, 捧花, 铭文, and 喷泉.